Customer experience management is essential for all call centers. A customer-first call center strategy begins with adopting best practices for measurable improvements of the quality of your customer interactions. Quality scoring is one of the most important methods used to ensure adherence tocall center standards and metrics, which not only improves customer service, but identifies opportunities for training and development. 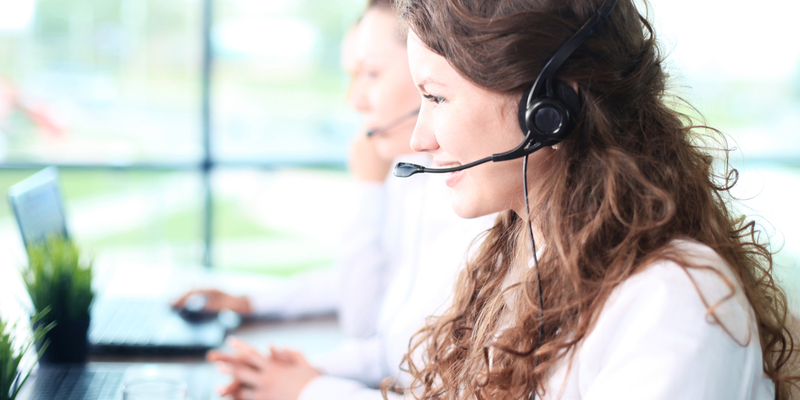 Here are some tips for improving the quality score at your call center. Consistent feedback to agents helps them to continuously improve and increase their overall contributions to the organization. When providing feedback, it’s a good idea to tie this feedback back to established goals and expectations. It’s important to provide tangible, objective, feedback. This way, your agents aren’t taken by surprise. Some examples of measurable goals are customer satisfaction ratings, call handle time, and first call resolution. Authority Software’s Quality Recording Manager helps call center managers monitor this critical data through interactive dashboards and configurable reports so they can provide helpful feedback to agents. Improving the key performance indicators of your lowest performing agents is one of the quickest ways to see improvement in your overall scores and improve customer experience. But there is valuable data to be mined from your high performers, which can be used to identify coaching opportunities as well as to help create best practices for the team. Technology solutions need to meet you where you are. In a new call center, technology can be a great tool to help guide you through the development of processes, providing you with some organization and capabilities you may not even have considered. A mature call center with experience and well-established quality processes needs flexibility and a solution that can be used to increase efficiencies. Having a solution that is scalable, can easily integrate into your existing environment and can be completely tailored to enhance your processes without interfering with your production environment is critical. No system or process can drive customer experience better than first hand feedback provided directly by your customers. Your customers are the best resource for learning both where you need to improve and where you are succeeding. And a CSAT survey doesn’t have to break the bank. It can be as simple as having your agents ask the customer how they would rate their transaction. But whether the feedback comes through an internal survey, an IVR or a third party CSAT survey provider, owning and incorporating this valuable and relevant data directly into your customer’s record will prove to be a key component in using the voice of your customer to improve the customer experience and create brand loyalists. When evaluating your call center’s performance, it is important to look outside the call center as well. External benchmarking is a way to ensure your company is meeting industry standards and best practices. By comparing your call center against others, especially to industry leaders, you can better evaluate your strengths and weaknesses and use that information to improve. Continuous improvement is driven by an understanding your call center’s paint points. Is your wait time much longer than the industry norm? Are your customers calling you back more frequently than your competitors because their issues are not being resolved efficiently? Regular monitoring of competitive data can help drive performance and increase efficiencies. If you are ready to take the next step towards improving your call center’s performance and exceeding your quality metrics, Authority Software is here to help. We can help implement the right tools to assist you to achieve this goal and guide you along the way with our years of experience in the creation, deployment and use of call center quality solutions that let you focus on improving the experiences of both your agents and your customers.